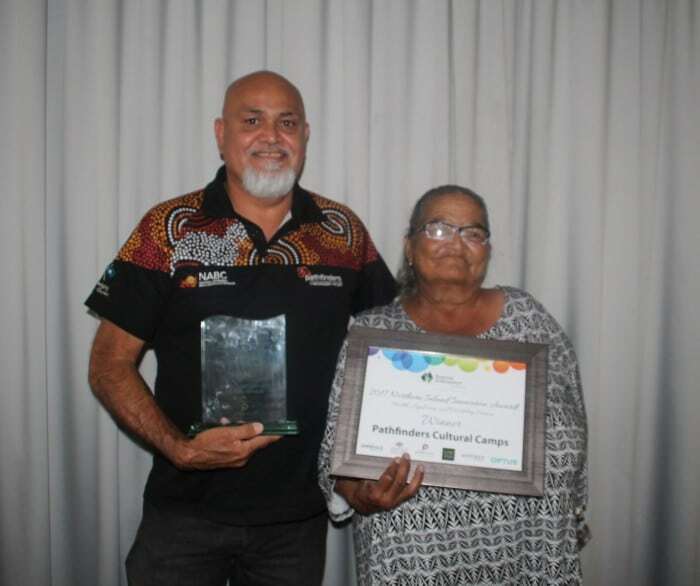 Not-for-profit community services provider, Pathfinders Ltd, won the Prime Super Health, Aged-Care and Disability Services Award for its Pathfinders Cultural Camps at the Northern Inland Innovation Awards ceremony held in Armidale this past weekend. 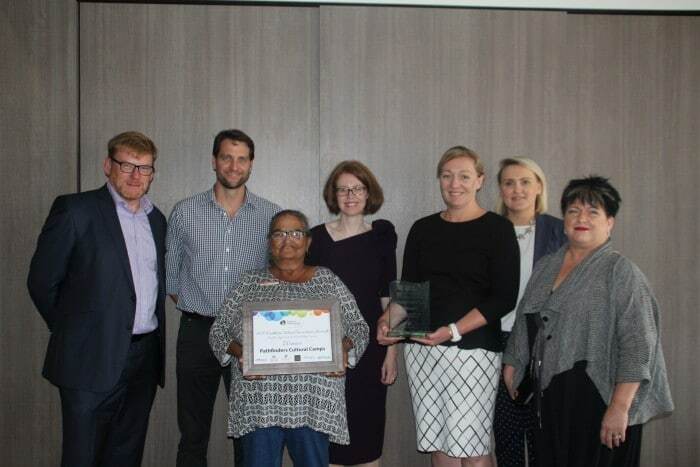 Pathfinders’ CEO, Alan Brennan, said the award was a testament to the power and importance of creating opportunities for Aboriginal children and young people in Out-of-Home Care to reconnect with their culture. “As an Out-of-Home Care provider, Pathfinders strives to preserve and enhance positive identity and wellbeing for all Aboriginal children and young people in care through ongoing links to family, community, land and culture,” he said. A panel of four judges independently rated 65 applications in the Health, Aged-Care and Disability Services category across four domains, with the Pathfinders Cultural Camp receiving the highest ranking of all innovations. The Pathfinders Cultural Camps are unique and innovative as they are the only ones offered in the broader New England North West Tablelands of NSW. The first Cultural Camp was held from the 2nd through the 6th of October and provided Aboriginal children and young people in OOHC the opportunity to connect with their heritage and cultural values through engaging in traditional activities, teachings and yarning circles with Aboriginal Elders. The camp also built upon the understanding that the best interests of Aboriginal youth in OOHC include the consideration of their ‘whole of life’ wellbeing, which includes health, personal development, culture, identity and education. The Northern Inland Innovation Awards have been highlighting local stories of innovative products and approaches for ten years across the region, recognising innovation as the application of creative thinking to initiate or introduce improvements in a skill, product, methodology or process. 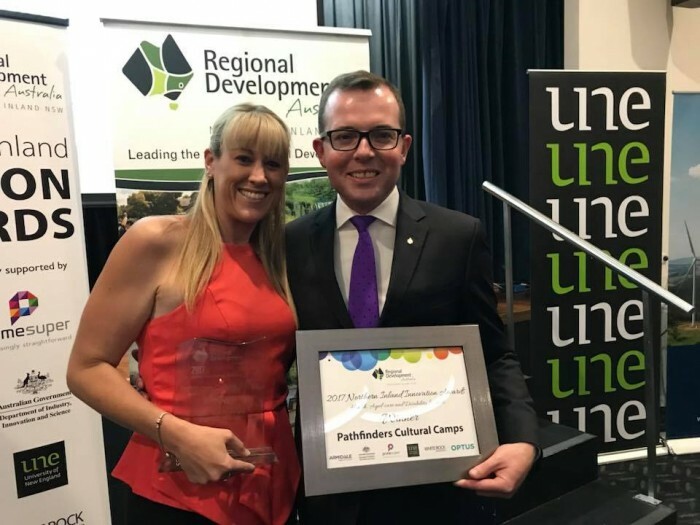 Each year, winners are announced at the gala Northern Inland Innovation Awards dinner and presentation evening, which was held at the Armidale City Bowling Club this year on Friday, 24 November. For an inside look at the Cultural Camp from the point of view of one of the Aboriginal youth who attended, click here. Pathfinders is a leading not-for-profit supporting disadvantaged children and families in the New England, North West and Mid North Coast regions. Every week we provide hundreds of families with the help they need to get back on their feet.